In this Friday, Sept. 21, 2018 file photo, Childish Gambino performs at the 2018 iHeartRadio Music Festival Day 1 held at T-Mobile Arena in Las Vegas. Childish Gambino is postponing his tour to recover after he injured his foot. Live Nation says the performer's "This Is America Tour" will resume on Dec. 2 in Nashville. Childish Gambino is postponing his tour to recover after he injured his foot. Live Nation says the performer's "This Is America Tour" will resume on Dec. 2 in Nashville, Tennessee. The tour promoter says tickets for the rescheduled shows will be honored at the new dates. 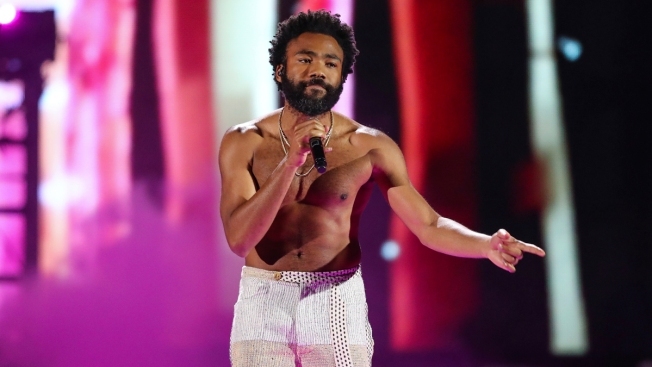 The Grammy winner's hits include "Redbone" and "This Is America."